Before the Conrail merger in 1999 CSX used Direct traffic control on all of its unsignaled lines. DTC makes use of fixed blocks with movement authority provided from the dispatcher to the train directly via radio communications (hence the D in DTC). This was in contrast to previous systems where trains would follow a predetermined timetable and any changes would have to be given to crews via block operators or lineside telephones (aka Indirect Traffic Control). When Conrail trritory was incorporated those lines used the Form D Control System or DCS. This was similar to DTC it referenced stations and interlockings as valid block limits (with a block limit sign being a form of station), but don't let the D in DCS fool you as DCS is a Track Warrant system, not a DTC system. Track Warrant Control not only allows for movement authorities to be given between traditional block limits, but also to any whole milepost or switch. Moreover Track Warrants can be used for other things besides train movement authority and usually end up combining several forms, like speed restriction updates, into one. While in theory this could have just meant a change in paperwork, mucking about with safety critical systems takes care so CSX decided to make the new TWC system backwards compatible with the old and therefore split it's new TWC rules int two sub-sections TWC-DTC and TWC-DCS to accommodate the differences between the original DTC and DCS systems. While TWC is more versatile, DTC is simpler and more efficient at doing the things it does. Instead of trains needing to write out new or amended track warrants, DTC blocks cab be released as they are cleared and then immediately given to other trains. 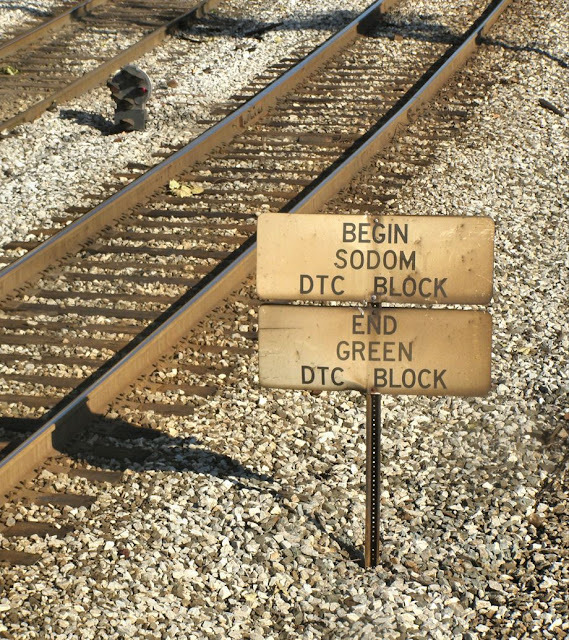 Still, it is clear that CSX's preference lays with the TWC-DCS rules as they immediately went about ripping out all of the old DTC block signs wherever it was most practical like on signaled main lines where DTC used to substitute during signal outages. DTC references were also largely removed from the employee timetables indicating that the sign removal wasn't just a cosmetic change. Still, there remain a few locations where DTC remains in effect, mostly on unsignaled secondary lines where use of DTC is more efficient than having crews fill out full Form D's. Where DTC will be most difficult to dislodge is in the circumstance of bi-directional ABS without traffic control, known under NS as Rule 271 or out west as TWC-ABS. 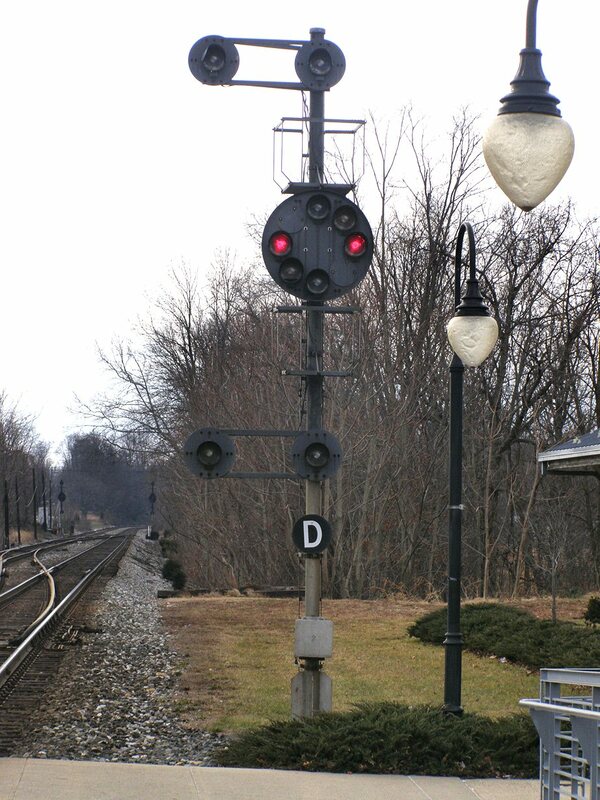 One might see bi-directional automatic block signals as an indication that a line as been equipped with CTC. However as spelled out in its name, CTC is a system for Traffic Control, not block separation. Traffic control means that when a train is given a route into CTC territory a flow of traffic is established such that opposing movements are not permitted to enter that line. Failure to establish a flow of traffic can result in Mexican standoffs away from passing points or certain race conditions that can cause a head on colision. Because CTC requires logic beyond simple automatic block occupancy to establish a traffic flow back in the day it was more than some lines wanted to deal with. However the advantages of ABS with its broken rail, hand switch point detection and flexibility for following movements could not be ignored. 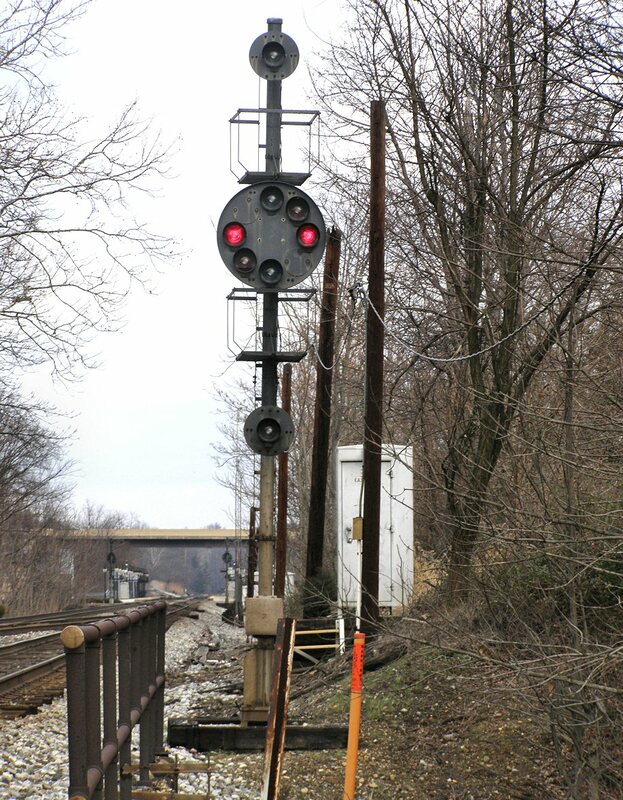 While not common on CSX it does appear occasionally, with the former Monon Railroad main line being perhaps the best known example with the line retaining the same system of operation even after the semaphores were removed. The new system, known as TWC-DTC (ABS) (!) is at least slightly more clear than the old Rule "120-132 (243-246)" label. To accommodate both its traditional and signaled flavors, there are several types of DTC block authorities that can be given. The first is Absolute Block, which has the standard definition, but allows trains with such authority free use of the block in both directions. The next is Clear Block. 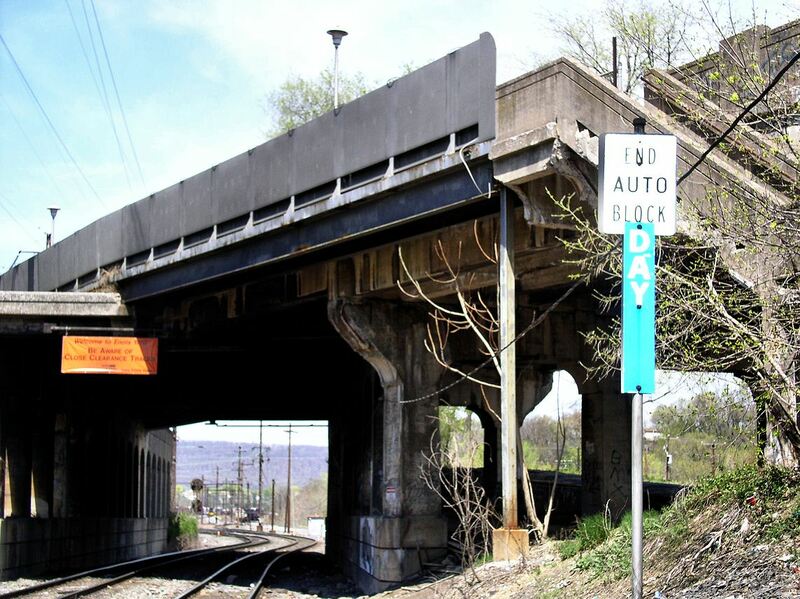 This grants authority in a single direction guaranteeing the block free of obstructions, but allows say a train in a siding to proceed in the opposite direction on its own DTC authority once passed by the conflicting movement. The third is Occupied Block, which like the name implies allows a train into a block with an obstruction. This is not intended to be used for permissive operation, only the case where one train needs to assist another or pickup equipment left unattended on the tracks. Finally there is a fourth type of DTC permission, Proceed Block. This grants trains the authority to proceed governed by fixed signal indication. This is the only type of authority given in TWC-DTC (ABS) blocks and this rule unlocked the mystery of why such a system exists in the first place back when I first encountered it several years ago. While all other railroads use full length Track Warrants on bi-directional ABS territory CSX has allowed this situation to remain the province of DTC even as DTC is abandoned elsewhere. Time for another bit of the News. 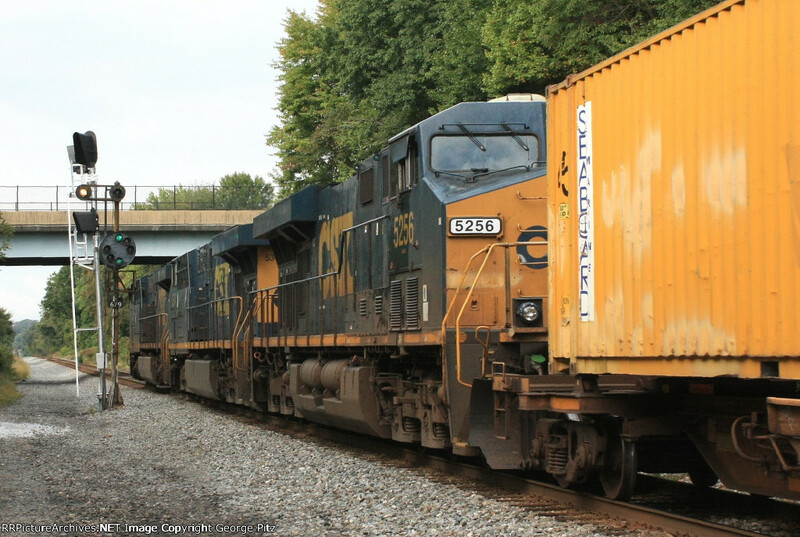 This time I have a number of reports from NS and CSX operations in the south and east. 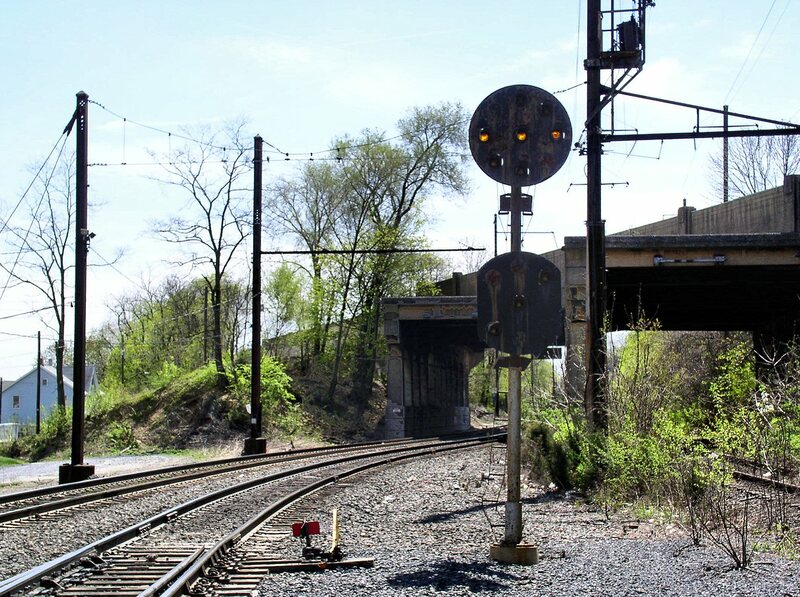 Starting in the North we begin with the former Conrail River Line which in the interest of a capacity improvement is seeing all of its remaining small target searchlit equipped restricted speed sidings replaced with new signaled sidings and the Darth Vaders that come with them. Here we see the damage at CP-33. The re-signaling project on the Philly Sub had moved on from Van Bibber reaching up as far as the Aikin siding. Moving south I have the sad duty to report that despite a recent round of repainting and signals that are only about 20 years old CSX has set its sights on the signals in the Bailey's Wye area of Baltimore, immediately adjacent to the sports complex there. 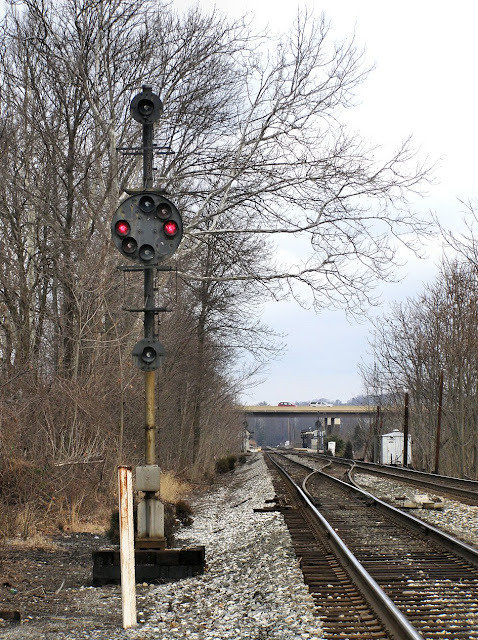 While expected, it is highly unfortunate that the home of the B&O will no longer have any B&O CPL signals. Just like heritage painted locomotives, heritage signals are just as significant and draw just as many fans with camera to promote the brand. Farther south the resignaling efforts on the A-Line are largely complete from Petersburg south to Selma although the section south of Rocky Mount has a dew surviving heritage signals and others that have had replacements up for over a year. Most important loss has been Contintina interlocking and the Wilson crossing complex. NS on the other hand is going after its collection of searchlight signals in Tennessee. 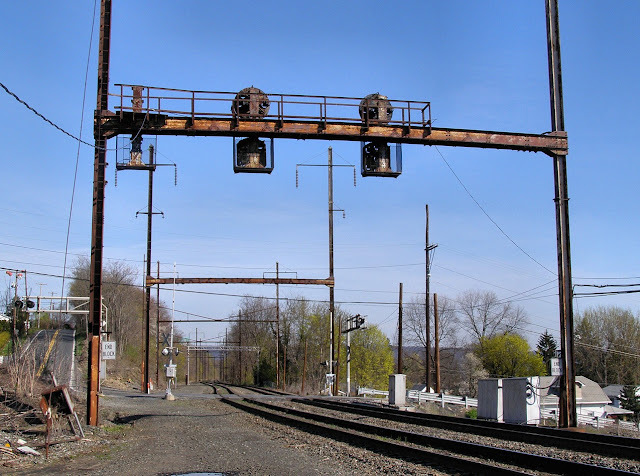 Which include these very early GRS examples shown mounted on a low cost Southern Style beam type signal gantry. NS is also doing some work on the Chicago Line near Toledo which involves the replacement of the classic NYC signal bridge at MP 282 in order to provide an additional intermediate signal on the 4-mile long controlled siding between CP-285 "Vickers" and CP-281.. NS previously completed work west of the City to install additional interlockings and siding track at NASBY and may be working right now to also re-signal CP's 288 and/or 289. While riding Amtrak train #20 I saw that NS is gearing up for a massive re-signaling effort starting from just North of Gainesville to at least as far as Greenville, SC. This runs completely counter to the normal piece by piece type of resignaling that NS is more known fore and almost resembles the western efforts that drop new signals along hundreds of miles of track and then work to convert it over several years. This is especially disappointing as NS had previously shown itself willing to preserve some of the old Southern RR type structures due to their simple color light style. The main loss here apart from the beam gantries and GRS modular traffic lights will be the offset automatics which are getting increasingly rare outside of Canada. 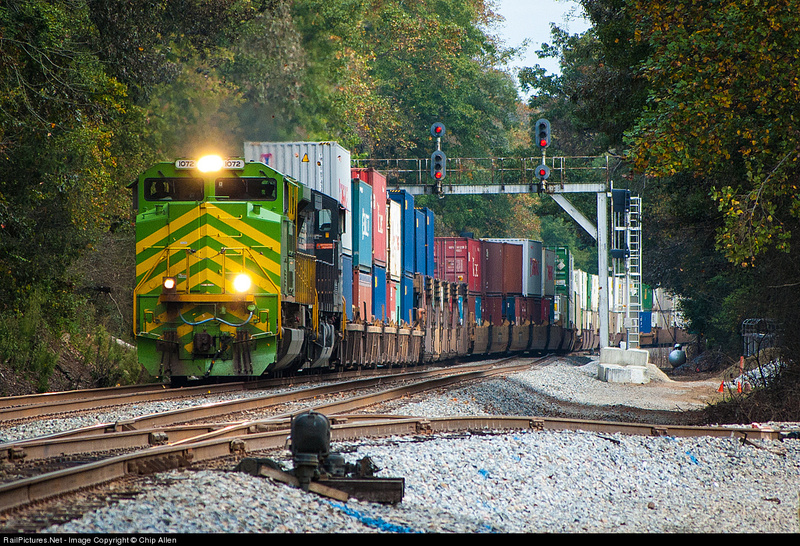 Finally we have one additional report from the CSX Abbeville Sub from friend of the Blog, Flagstop. Elephant ears are falling on the CSX Abbeville Subdivision so far from points north of Carlton to the north end of HULL siding (M.P. 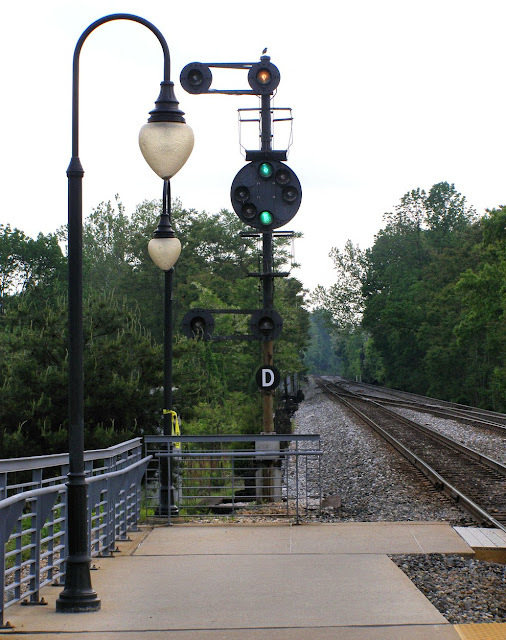 SG497.3); cutover was accomplished 12 August 2013 as part of a replacement by “Darth Vader” signals. The replacement included at the very least the intermediate, automatic, dual-sided, single-mast signal at Carlton, Georgia (M.P. SG483.1/483.0), southbound to the north end of HULL siding (M.P. SG497.3). This includes north end and south end of HOWIE siding (M.P. SG497.3 to M.P. SG499.4), and automatic dual-sided single-mast intermediates between Comer and Colbert (M.P. SG489.9/490.0, M.P. SG492.5/492.4, and M.P. SG494.9/495.0). Points north of Carlton, including NORMAN siding, CALHOUN FALLS siding, and the various intermediates may have been cut over at the same time or earlier; since I did not travel north of Carlton, I cannot verify anything north of that point. Old masts, signal heads, and some relay cabinets were removed and hauled away that very day with others following later in the week. Replacement signals generally DO include the capability of displaying more aspects, including lunar white for RESTRICTING (new to most of that portion of the line). 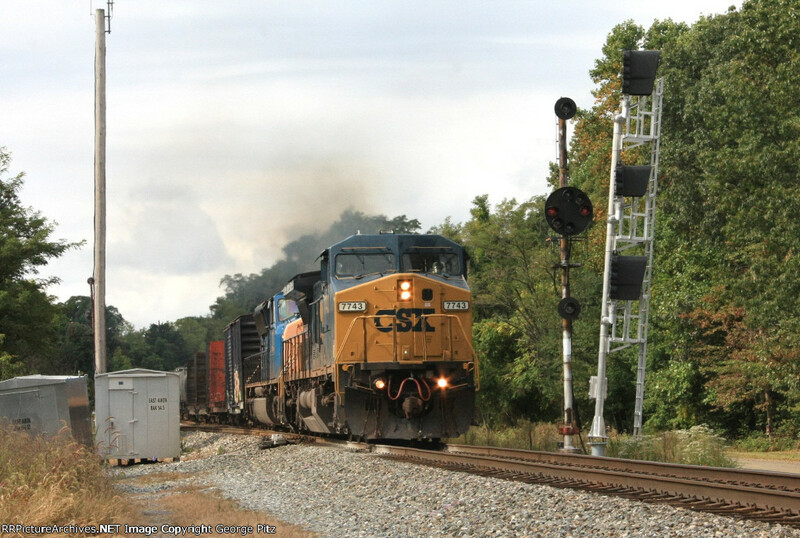 Some signals that require flashing aspects may also be possible, but as a rule CSX does not use them on this line. Other signals saw replacement of the lower, offset head GREEN (only) signals (both small targets and large elephant ear targets) on 2-head intermediates replaced by an inline/non-offset signal that always displays red or green on the second head whenever the upper signal head is activated (Note: Most, but not ALL of these intermediates are approach lit, and even some that one would think would be, are continuously illuminated; curiously enough the signaled passing sidings at some locations were ALSO approach lit until 15 or 20 years ago). The new relay cabinets at the Howie siding and elsewhere have nice Verizon dish antennas and other components that are part of the move to Automatic Train Control. New relay cabinets, some preliminary signal pedestal, underground electrical, and new switch integration work is in process for points south of this newest work (from M.P. SG499.4 on down the line) as the work continues for conversion of more portions of the line. As mentioned above, the railway has quickly moved to remove evidence of the old signal hardware, unlike in some previous signal projects where old hardware, e.g., signal masts and signal heads were cast to the edge of the property beyond the ballast; even today some of the interim signals replaced or removed in the past four years or so are STILL on the ground near the tracks. Of course CSX work to modify parts of the Abbeville Sub are nothing new, but if the previously patched portions will be replaced again remains to be seen. This will be the first of a series of posts on the former PRR Port Road and Enola Branch. Through my own efforts and the efforts of a friendly Amtrak employee I have compiled a full record of the line before the recent resignaling efforts by NS. In April 2009 I got a chance to document a rather interesting interlocking on the currently Norfolk Southern Enola Branch. The line was originally part of the Pennsylvania Railroad before being controlled by both the Penn Central and Conrail. What today is called STELL interlocking is located directly south of the once famous Enola Yard which was up through the 1950's, the world's largest railroad yard with 145 miles of track and two classification humps. Through the PRR eta Enola was the hub of their freight operations in eastern Pennsylvania. The yard sat at the junction of the east-west Main Line from Philadelphia to Pittsburgh as well as the Northern Central route from Baltimore to Buffalo. Also important were the low-grade freight which, as the name implied, provided a low grade alternative to the main line between Harrisburg and Philadelphia as well as the Port Road branch, which ran down the Susquehanna River to the main line between Philadelphia and Washington DC. The Port Road was the preferred freight route to the south as it had lower grades than the curvy Northern Central. In the late 1930's the low-grade lines and Port Road were electrified and for 50 years saw an endless parade of powerful Motors hauling the PRR's freight toward Pittsburgh with a stop in Enola to change the power and re-crew. 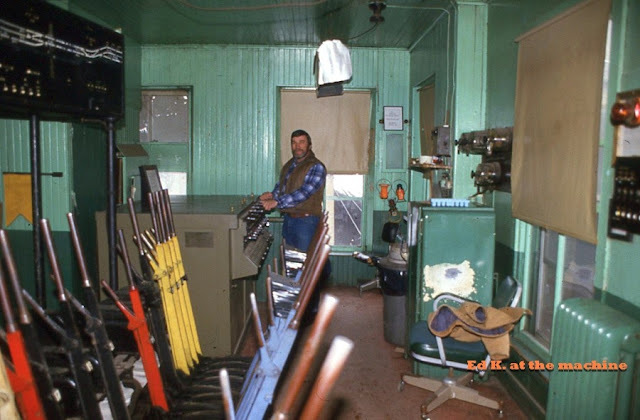 Through the 70's and 80's the PRR became the PC which was nationalized into Conrail after the PC's record bankruptcy. 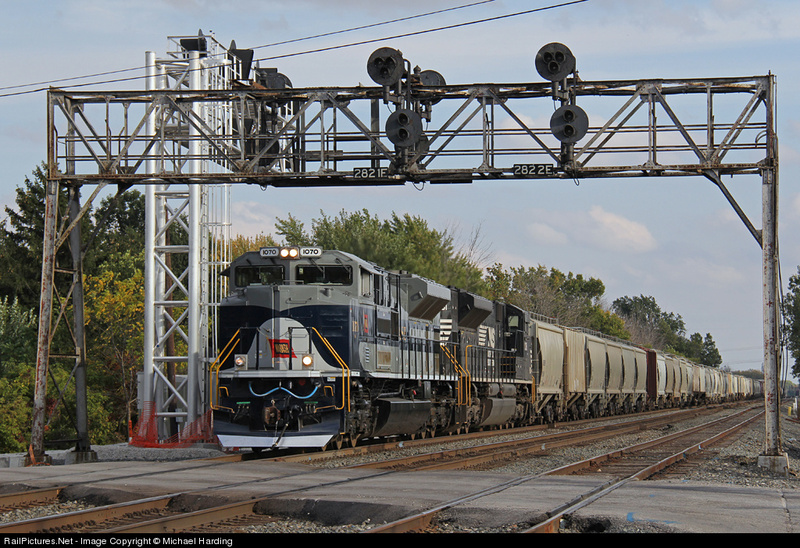 Amtrak gained control of the Northeast Corridor and that line, once integral to the PRR's east coast freight service, because increasingly off limits to freight, with traffic moved to parallel, and non-electrified lines. Eventually, the Port Road and Enola Branch became host to those few trains destined to the ports of Wilmington, Baltimore and the Delmarva peninsula, operating at night over Amtrak's corridor to avoid interfering with high speed passenger trains. The reason I have launched into all this backstory is because it is important to understand how the signaling has evolved. When the line was electrified in the late 1930's the signaling was thoroughly rebuilt with cab signals and power supplied from the electrification. The Port Road and parts of the Enola branch made extensive use of CTC. In the 70's and 80's traffic on this route was declining, but the route wasn't burned with lots of interlocking towers. Moreover while traffic was declining, Amtrak's white periods forced a lot of trains into a small window of time, so there was no way to downgrade the route or signaling. 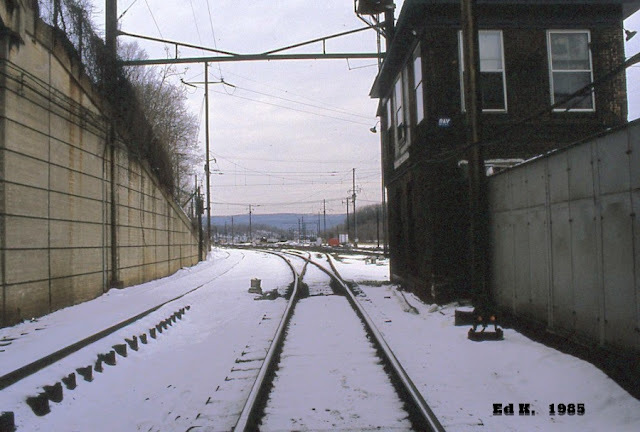 The result was that the Enola Branch and Port Road were frozen in time, even keeping their all amber PRR position lights instead of getting the red upper head - - lenses installed by the Penn Central and Conrail. For a quick reference one can find the 1998 Conrail employee timetable of the line here and the part with STELL interlocking here. Unlike most Conrail interlockings STELL was not prefixed with a "CP-" which puts the interlocking in the category of a train order block limit. I don't know why this was done, but its something I have seen on some single direction ABS lines elsewhere. Going back to the days of the PRR, STELL interlocking didn't even exist. It was part of a larger interlocking called DAY. Built in 1930 DAY controlled the south end of Enola Yard with a mechanical lever frame. 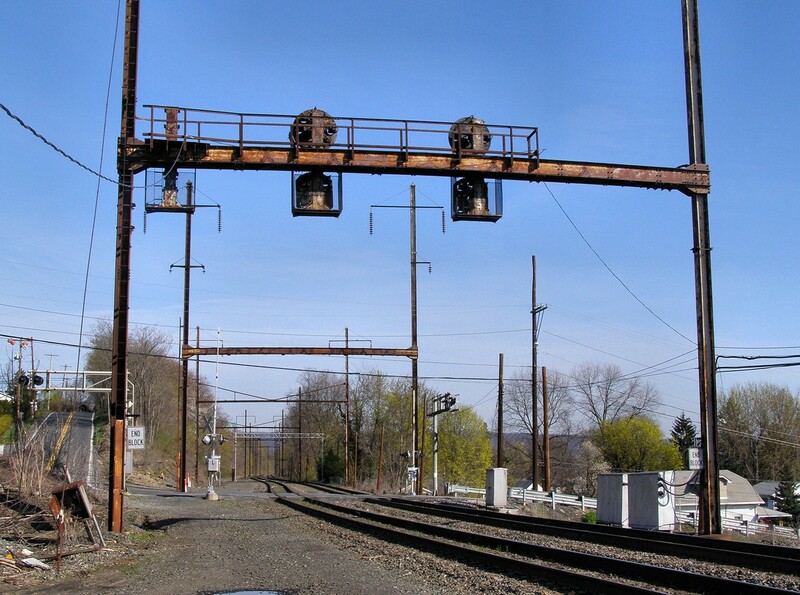 Where STELL currently sits was where the Enola Branch split in two with two trains proceeding directly along the river and two tracks splitting off to rise up to LEMO tower and its junction with the bridge over the Susquehanna River and Shippensburg Branch. This split was technically part of DAY interlocking, but was controlled by a small 5-unit "table interlocker", which was a US&S product that used single lever modules that could be hooked together and placed on a table top to control simple junctions. As the line proceeded south (railroad east) from LEMO it followed the British practice of having the pair of freight tracks next to the pair of passenger tracks. This was because the two passenger tracks would eventually curve inland at Wago Jct, which was slightly past CLY interlocking, to travel the Northern Central route through York to Baltimore. In 1942 DAY was drastically rebuilt. The old mechanical section was kept, but 2 more running tracks were installed south of the old interlocking. 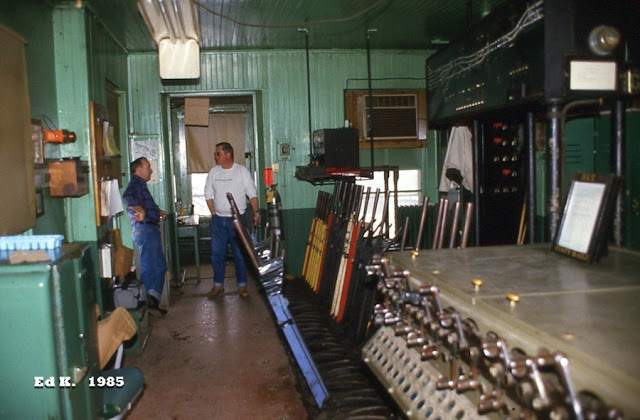 These tracks and the junction between the LEMO connection were then wired into a brand new US&S Model 14 power frame sitting next to the mechanical frame. The table interlocker was recycled to control a few switches in Enola yard. If you look at the DAY interlocking diagram you can see which parts of the interlocking are controlled by which machine. Now, sometime in the 70's DAY was reconfigured again with the two track flat split junction being reconfigured into a basic crossover with a single track connection to the Shippensburg Branch. This reconfigured segment of DAY is actually what would become STELL and, somewhat ironically, would outlast the main part of DAY, which was completely removed once freight shifted away from Enola yard after the end of Conrail electrified operations in 1981. I managed to dig up some photos of DAY tower before it was closed and demolished. First we see the tower wedged in between the 4 tracks coming out of Enola yard. As built the tower only had two tracks running in front of it and the road overpass had yet to be built to squeeze them in. The mechanically worked points have also been converted to pneumatic operation. The overhead wires have also been removed. Here we look inside the tower. The inside has been painted a Penn Central green. In the foreground we have US&S Model 14 power frame, then the mechanical frame in the center of the tower and finally the table interlocker. The model board is common to all three interlocking machines. Looking the other direction with the mechanical frame in the foreground. The PRR used a slightly different lever color scheme. Most signal levers were yellow and check levers were red (with black and blue being the standard color for switches and facing point locks). So after DAY tower closed, the crossover and junction with the Shippenburg Branch were spun off into the new STELL interlocking. DAY on the other hand became a block limit station on the westbound track and a single controlled signals on the eastbound track, there to admit trains into the single block section between the yard and STELL. Here are pictures of that which replaced DAY. In 2004 Norfolk Southern finally removed the DAY signal and the ABS between there and STELL in order to allow yard moved to back past the signal without needing dispatcher intervention. Ok, finally we get to STELL interlocking. I have labeled my photos with my best guess of the lever number they received after the 1970's rebuild, so don't take them as gospel, not like it matters. Here we see the eastbound signals on a gantry using the old electrification supports. Note the "Begin Block" signs. The gantry replaced mast signals in the 70's rebuild. Closeups of the individual signals. Because the line is single direction Rule 251 the signal on 2 track has no full speed routes and the track 1 signal has no signaled diverging routes. Looking back towards DAY with the high card detector and End Block signs. How does one operate a commuter rail service on a busy freight main line without resorting to exclusive use windows that drive freight railroads absolutely bonkers? The answer seems to be interlockings, and lots of them! When industry laggard CSX was trying to claw itself out of the dismal days of railroading in the 70's and early 80's it found itself saddled with a pair of passenger routes operating out of Washington, DC on former B&O trackage. With plans for the state operating entity to expand service and buy new equipment CSX correctly realized that it might be bad karma to oppose an expansion of passenger rail service into the nation's capitol and instead worked to turn lemons into lemonade by getting the state to fund a new signaling system on each line. Sometime between 1990 and 1992 both the Capitol Subdivision and Metropolitan Subdivision were upgraded for bi-directional CTC operation. Both projects were some of the last wherein CSX installed brand new B&O style Color Position Lights, but the Capitol Sub project was also interesting for the sheer number of crossovers installed. Where most railroad CTC mainlines tend to have crossovers about every 8-10 miles, the 38-mile Capitol Sub has one about every 4 miles. Unlike the Metropolitan Sub, the Camden needed to run a bi-directional service during the peak periods to serve both Washington and Baltimore. Service on the Brunswick Line continues to be peak direction only and could get away with a more traditional 8-10 mile crossover spacing. 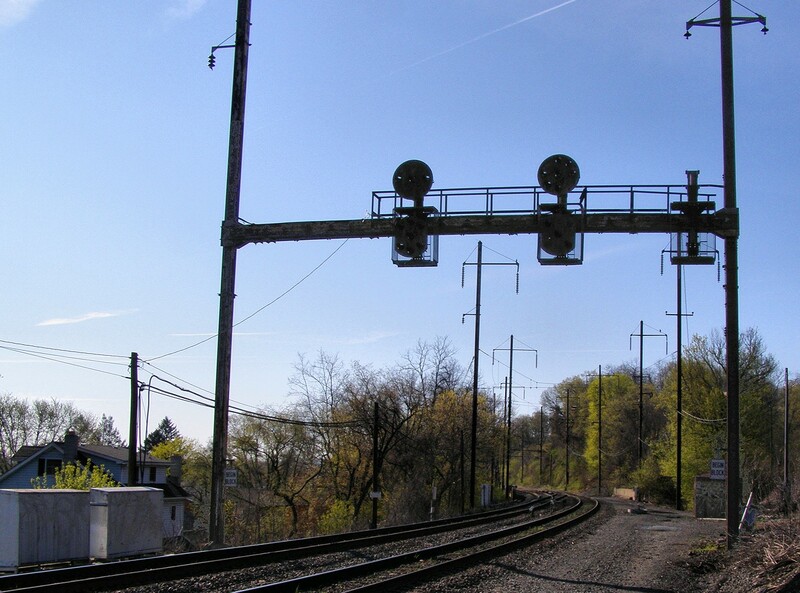 In 2009 I went out to a pair of these interlockings adjacent to the Dorsey and Jessup, MD stations to document the signals involved and then I returned in 2011 when stimulus money resulted in the early retirement of the 1990 vintage CPL. The complete 2009 can be viewed here, and the 2011 set here. While neither location retains their CPL's, the historical record of them serves as a nice guide to B&O CPL signaling in a modern bi-directional CTC environment. Because Dorsey and Jessup interlockings are back to back with no intermediate signals, the westbound masts at Dorsey have 4 orbitals. 12 o'clock for normal speed route, 6 o'clock for medium speed route, 10 o'clock for Approach Medium speed route and 8 o'clock for medium route approaching medium speed route. Here is the CPL mast for track 1. And the CPL mast for track 2 displaying a CLEAR indication for a southbound MARC commuter train. The eastbound signals are simpler only requiring a 12 and 6 o'clock orbital for the medium speed crossovers. Here in this 2011 view the northbound track #2 signal is displaying Clear for an approaching CSX freight train while Darth Vaders hover menacingly in the background.